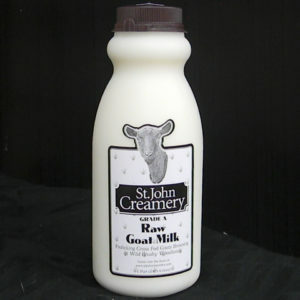 Goat’s milk is less allergenic – It does not contain the complex protein that stimulate allergic reactions to cow’s milk. Most lactose intolerant people have found that they can tolerate goat’s milk and goat milk products. 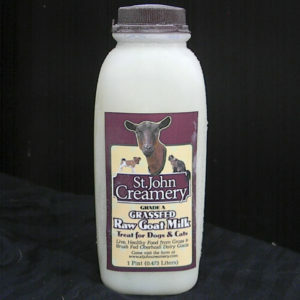 Raw goat milk is an incredible substance! 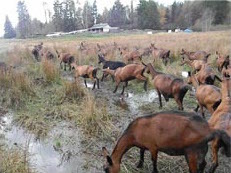 All mammals can sustain and flourish on goat milk! The milk alkalizes your body (which is linked to better health, as opposed to pasturized cow milk which turns the body acidic, and can make acid reflux disease and heartburn worse). Our milk works to neutralize, and stop, heartburn faster than over-the-counter medications, relieves on contact. In the body, Goat Milk breaks down in 20 minutes as opposed to 8 hours for cow milk (There are serious problems developing from and with mainstream pasteurized cow milk). Overall, Goat Milk helps resolve many common digestive issues in humans and pets(even Diabetes, which is now linked to digestive issues with grain and sugar), and is used around the world as Medicine. The United States is the only country in the world that abstains from its medicinal use, and we have the highest rate of medical health problems, period. There are 30 live enzymes found in goats milk that aid the body in the proper break down of fat, sugar, and protein. If you want to enact Goat Milks true healing ability, make Keefer. Keefer is a bacterial culture that houses 30 kinds of beneficial bacteria, and 2 kinds of yeast. A friend of the farm has seen recovery from Crohns Disease, a fact that she attributes to the Raw Goat Keefer.